Two fighters of very similar backgrounds touch gloves on Saturday, January 19 when Manny “Pac-Man” Pacquiao and Adrien “The Problem” Broner clash at the MGM Grand in Las Vegas, Nevada. Pacquiao, the 40-year-old icon from the Philippines, takes on the 29-year-old Broner in what is basically the first major pay-per-view card of the year. Pacquiao is making it his priority to prove that even at his age he’s capable of defending his WBA welterweight title for the very first time. The belt is Pacquiao’s 10th in a record eight divisions, while Broner is a four-time world champion across four weight classes. The multi-divisional greatness is not the only thing these two fighters have in common, as they both have conquered their biggest foe in life by leaving behind a poverty-stricken childhood thanks to boxing. Pacquiao is clear that winning this fight will not only add more accolades to his legendary career but would also open the door to unification fights in the division and prove that he’s still part of an elite group of fighters. 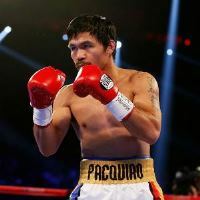 Despite his age Pacquiao still is an international draw and makes millions of dollars every time he steps into the ring. Although he would like another chance to fight Floyd Mayweather Jr. that is unlikely to happen as “Money” has made it clear on several occasions that he’s not interested in the bout. For Broner, this is clearly the biggest fight and purse of his career and could open the door to bigger and more lucrative combats if he wins. Broner is the clear underdog as he doesn’t have a lot of experience at 147 pounds, as his only wins are a split decision over Paulie Malignaggi in June 2013 and another one against Adrian Granados in 2017. His only other match in the division was a loss to Marcos Maidana in his only welterweight title defense in December 2013. On Saturday whoever losses will probably be staring at the sunset of his career, while the winner will be inching closer to a nine-figure payday.